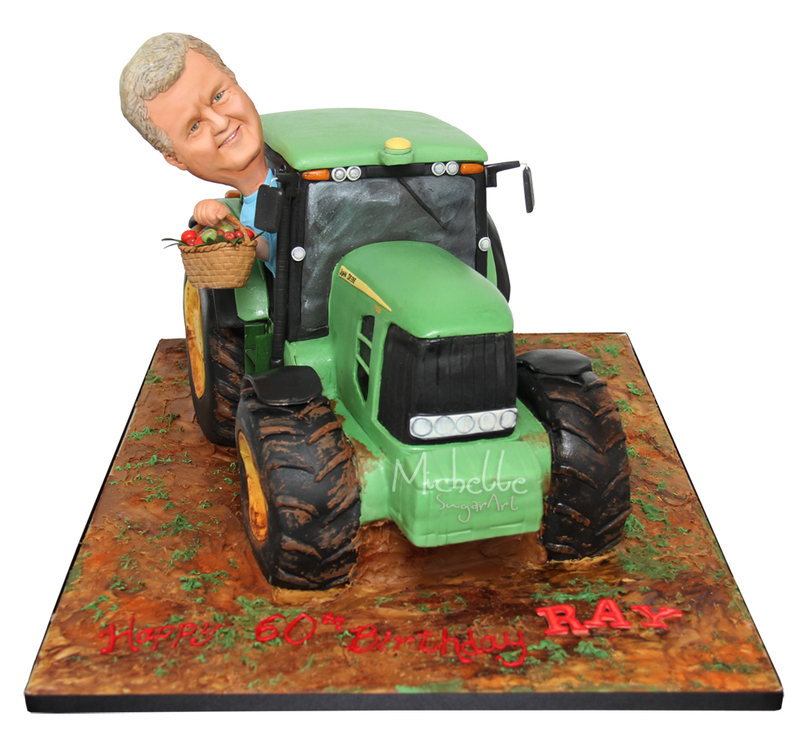 Thank you so much for the fantastic tractor cake which fitted the brief perfectly. Ray was absolutely overwhelmed when he saw it and everyone at the party said how fabulous it was. Ray decided that we should cut it at the party and yours truly was given the task! I don't think I would have managed it without your detailed instructions so thanks for including those. I can appreciate what an engineering feat it must have been to achieve the cake structure. Well done for producing such a wonderful cake again in the short timescale given. Not only was it a fantastic piece of artwork but the lemon sponge was really delicious. Thanks again for your excellent service and here are a few pics from the party.